As you explore the R.P.D. 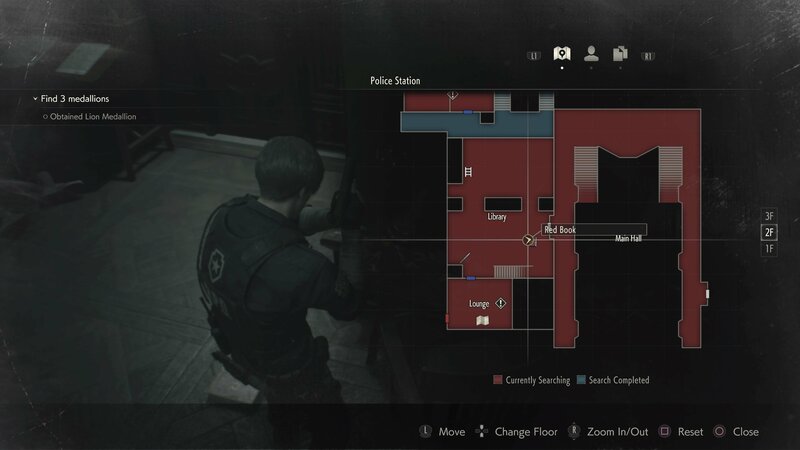 station in Resident Evil 2, you may come across the Art Room and its mysterious red jewel statue puzzle. That statue’s missing arm is sitting right next to it, but you’ll need more than this to complete the puzzle. In this guide we’ll explain how to get the red jewel by solving the Art Room statue puzzle. The red book is located in Library, as shown in the image above. It’s sitting on the corner of a desk just to the right of the door back to the Main Hall. You’ll need to have the Spade Key to reach this, and you’ll know you’ve entered as Marvin will radio Leon to return. Pick up the book, then use the Spade Key to unlock the door and re-enter the Main Hall. After speaking to Marvin (or not), head to the Art Room (2F) via the upstairs door on the east side of the Main Hall. After you pass through the Waiting Room, turn to your left and the Art Room door will be a short distance ahead. Inside you’ll find the key card needed to get the Shotgun on a desk, and also a large statue holding a Scepter. The statue’s missing arm will be sitting just to the right of the statue itself. Pick it up ang combine it with the red book, then place them on the statue itself. 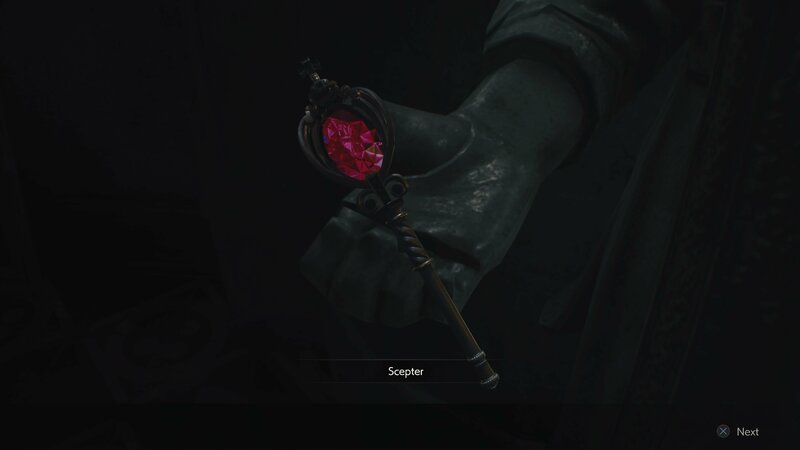 The arm will rotate and allow you to take the Scepter. While a Scepter is cool and all, it’s not what we’re here for. Inspect the Scepter and rotate it to find the hidden switch. 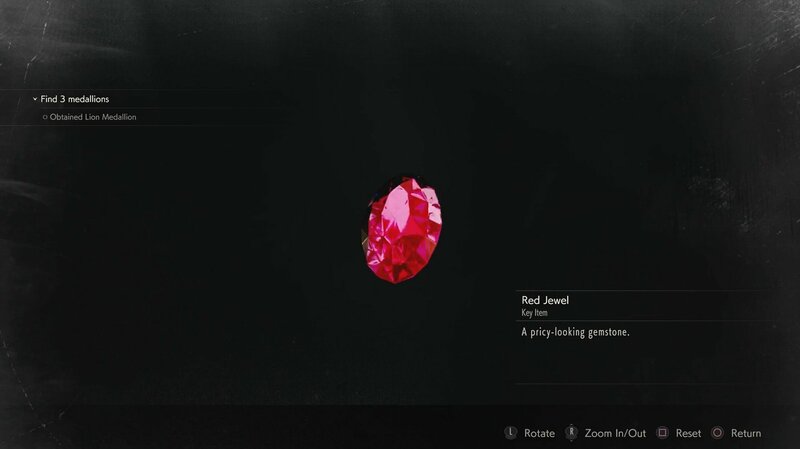 Hit the button prompt and you’ll be rewarded with the red jewel. The Red Jewel won't do anything on its own, but further down the line you'll be able to combine it with a Bejewelled box and work on unlocking the powerful Lightning Hawk Magnum. Congratulations on Solving the Red Jewel Art Room statue puzzle! 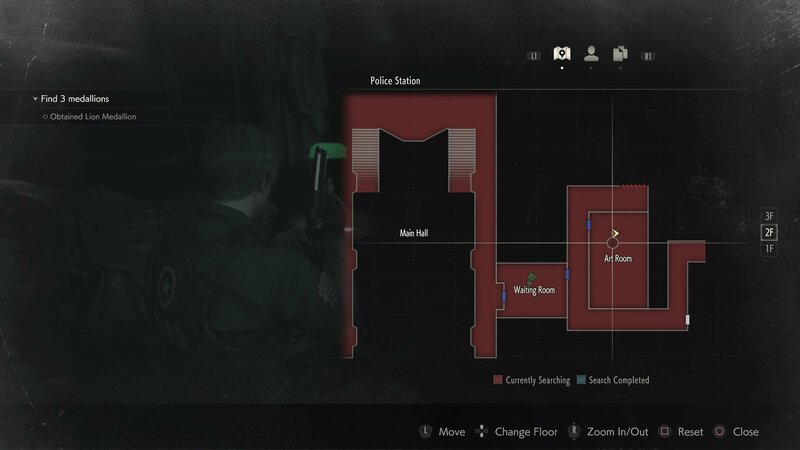 We have plenty more Resident Evil 2 guides available for you, including how to open Leon’s Desk locks for the Matilda upgrade.